The customers at a Connecticut Starbucks are on their third day of a record-breaking pay-it-forward spree as more than 1,000 customers have cheerfully agreed to pay for the customers behind them. Today's run smashed the record the store set Thursday at closing when a total of 783 people paid it forward. "Nobody has broken it (the chain) yet," said Joshua, manager of the Starbucks store in Newington, Conn. Joshua said he is not permitted to release his last name according to company policy. The store opened a gift card for moments when there is no one behind a paying customer. "On Christmas Day, somebody put in $100," Joshua said. The pay-it-forward chain began about 8 a.m. on Christmas eve. Some customers pull into the drive-through expecting to pay just a couple bucks for their coffee, but may end up paying an upwards of $15 more for the person behind them without any hesitation, Joshua said. "I think it's awesome,… but most importantly, l hope it influences other people to do random acts of kindness, not just pay it forward at Starbucks, but to keep it going," he said. 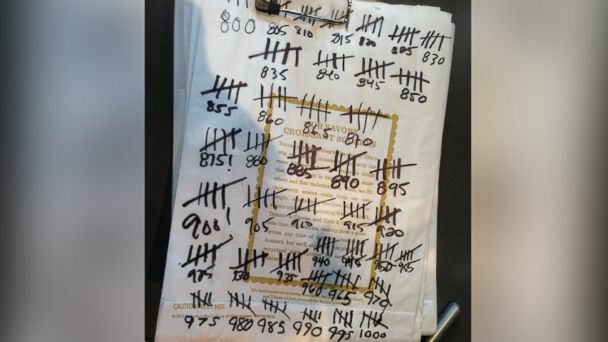 When the number reached 30, the Starbucks employees were shocked it was so high. At 40, Josh posted a picture of the tally board on Instagram. Now at 1,000, the possibilities seem endless. "We hope that it will continue on, even if it doesn't continue on here, we just hope that it will inspire people to do greater things and inspire people to do more for their communities," Joshua said.